IT/OT System Integration - Raesemann Enterprises, Inc. There is a gap between the traditional IT environment and the control and data systems in industrial environments. It is rare for a corporate IT department to have the resources to support your control system needs. They are usually stretched thin supporting "normal" business systems such as desktops, business networks, and relational databases. They just do not have the time or background to devote to your very specialized needs. On the other side of the coin, it is common for people on the industrial controls side of the equation to be very proficient with PLC's and HMI's, but they do not have the time to become an expert in data networks, Windows Domains, and many other skills needed in modern systems. You need someone who has the background to bridge the gap. Both sides speak different languages, and unfortunately, you need skills from both sides to pull off your project. In the past, it has been acceptable to have your control systems and your IT systems separate. Today that is not the case. You need to share data between the systems to allow you to manage your operations effectively and produce reports. The days of separate systems are over. At the same time regulations like NERC CIP and Sarbanes-Oxley make it not only technically complicated but also expensive and time-consuming to implement. I have worked in power and manufacturing plants for years. I also have a strong background in IT, making me uniquely qualified to help pull it all together to make your systems work. If you have become frustrated trying to get your systems talking, I can usually help where others have failed. OLE for Process Control (OPC) has become the de facto standard for data exchange in the process control world. 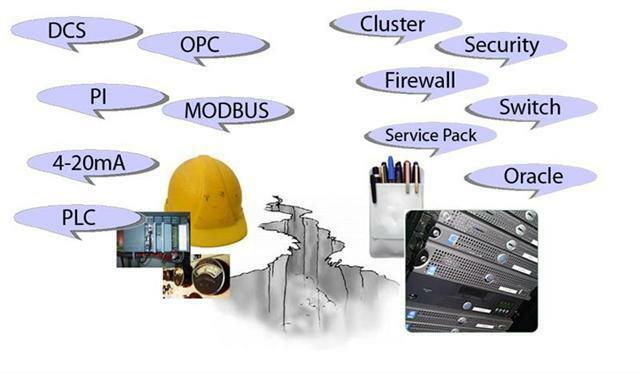 There is an OPC server available for practically every control system out there. Even if you have a legacy system that is years old, many times, it can be integrated into other systems using OPC. It is not uncommon to have mission-critical control systems that have been running for years without a disaster recovery plan. If you are one of the many people who just hope and pray that these aging systems continue to run you need to take action, I can help to assess your systems and plan and test disaster recovery plans that will ensure that you can quickly recover from a disaster. Don't wait for a power failure, failed hard drive, or lightning strike to put you out of action. Many tools and tricks will help you to sleep better at night.